Baby Gourmet Plus is Mom's secret for getting babies to love what's good for them! 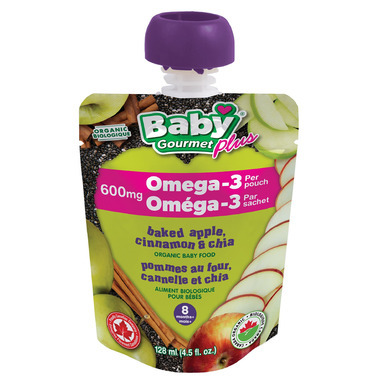 Your baby will love the tastiness of Baby Gourmet Plus Organic Apple, Chia, Cinnamon, Lemon Juice Concentrate! Great taste! My kids love them and they make a great after gym drive home snack for me!